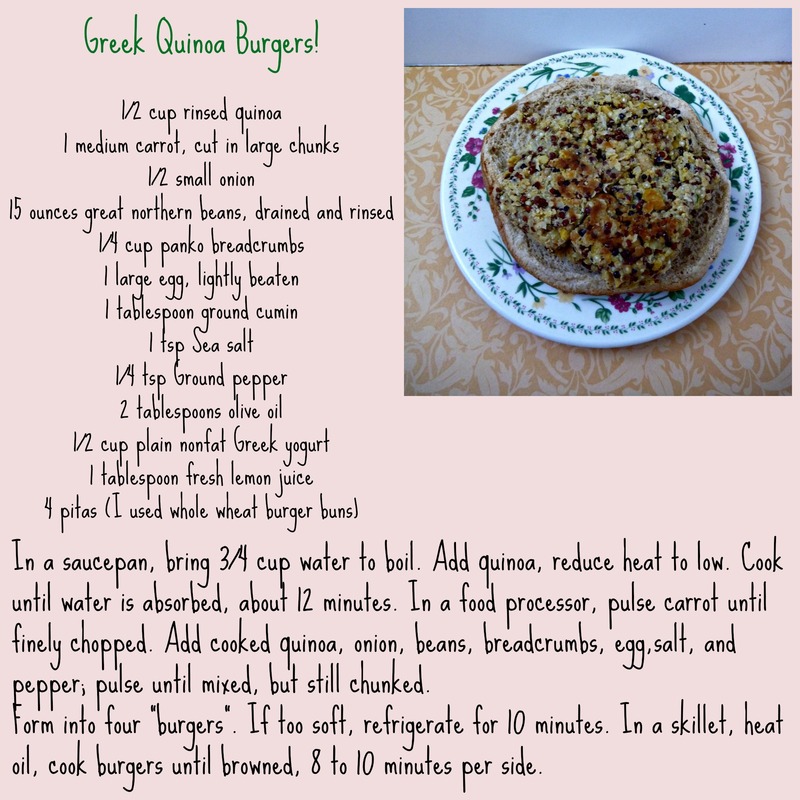 If you are looking for a healthier alternative to the traditional beef burger, this just might be it! 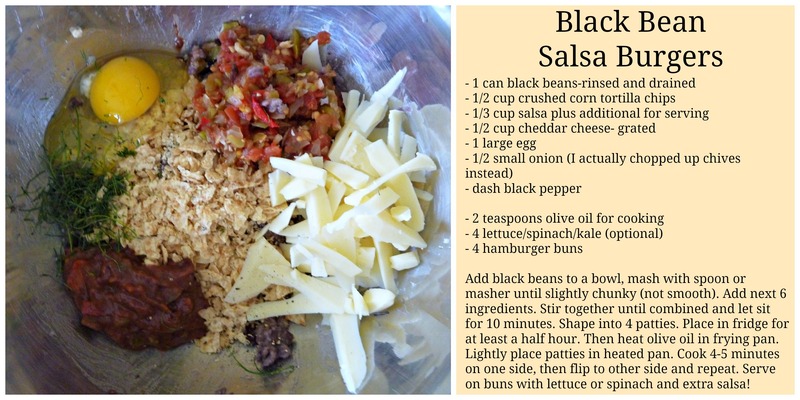 (Or thedelicious Black Bean Salsa Burger). This recipe is adapted from ze one and only Martha Stewart. It was recommended to me by a friend a while ago, and we finally got a chance to try it, so good! A friend described it as a garden in a bun, or something like that… but he liked it, and he is very much a meat and potatoes sorta guy. These burgers probably would have tasted much better in a homemade pita, but I didn’t have time to make the pitas, so we just used hamburger buns, they still tasted awesome. Also, good ‘ol Martha had a recipe for a yogurt spread to go with these on the original recipe. 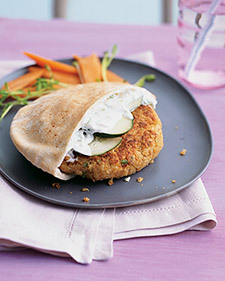 I used the tahini dressing that I made to go along with the Greek Pitas, it went perfectly with the quinoa burgers. Yum! If you feel like a lighter burger should be on the menu, then look no further, this is a fantastic beef alternative! 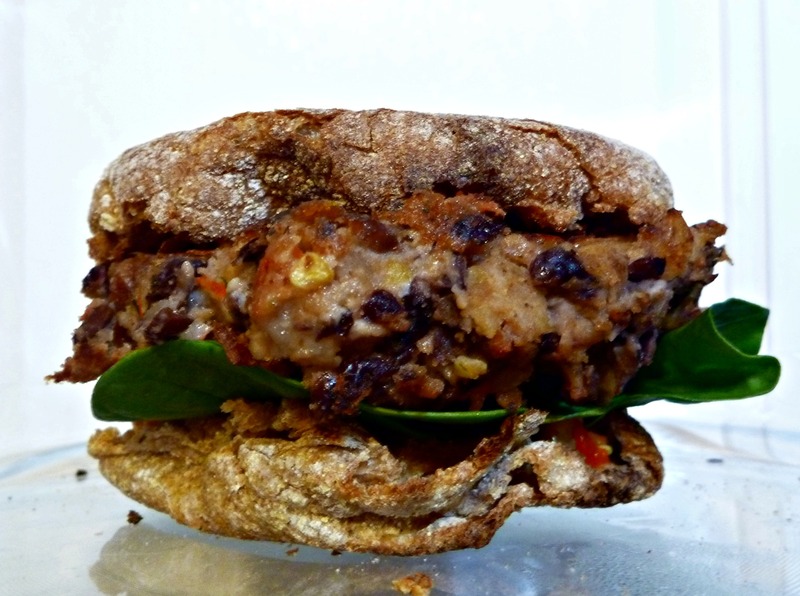 The ingredients make this a filling and satisfying burger with much less fat and calories than a conventional grilled patty. 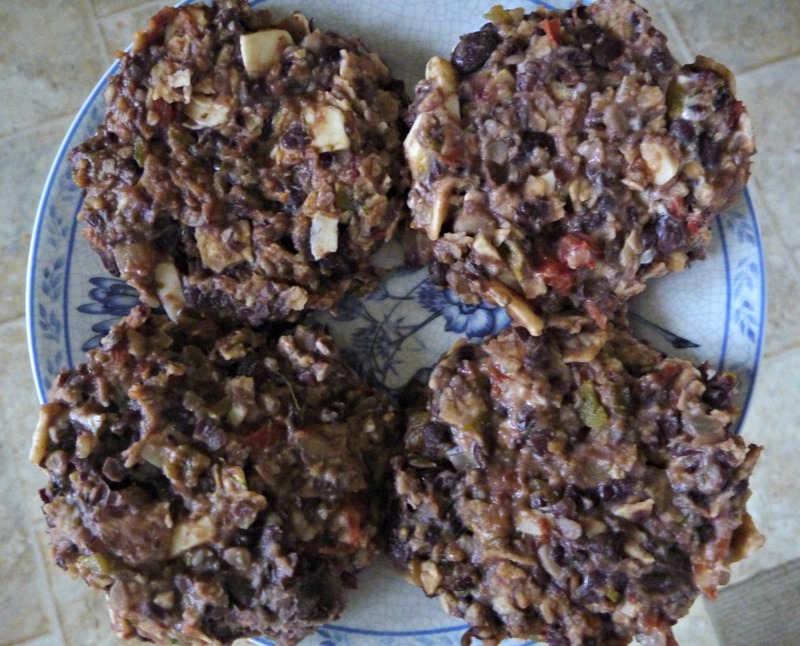 These are so delicious, they taste muuuch better than the frozen veggie burgers at the store. I found the original recipe in fitness magazine, and I’m pretty sure there is an online version as well, but I can’t find it anymore. If anyone finds it, lemme know! 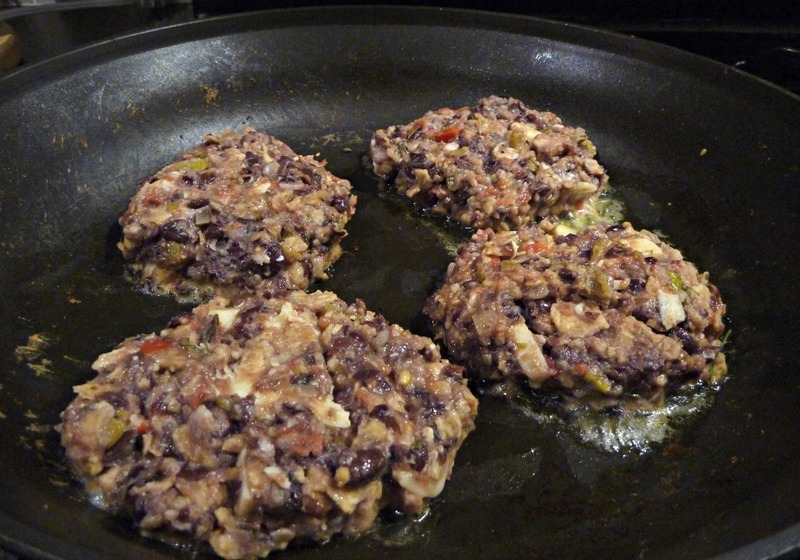 The patties are pretty large, and filling, you could also make five, slightly smaller patties from this recipe. They also look sort of strange and chunky in this picture, but I promise they are delicious after you cook ’em up! Even the “meat eaters”carnivores? 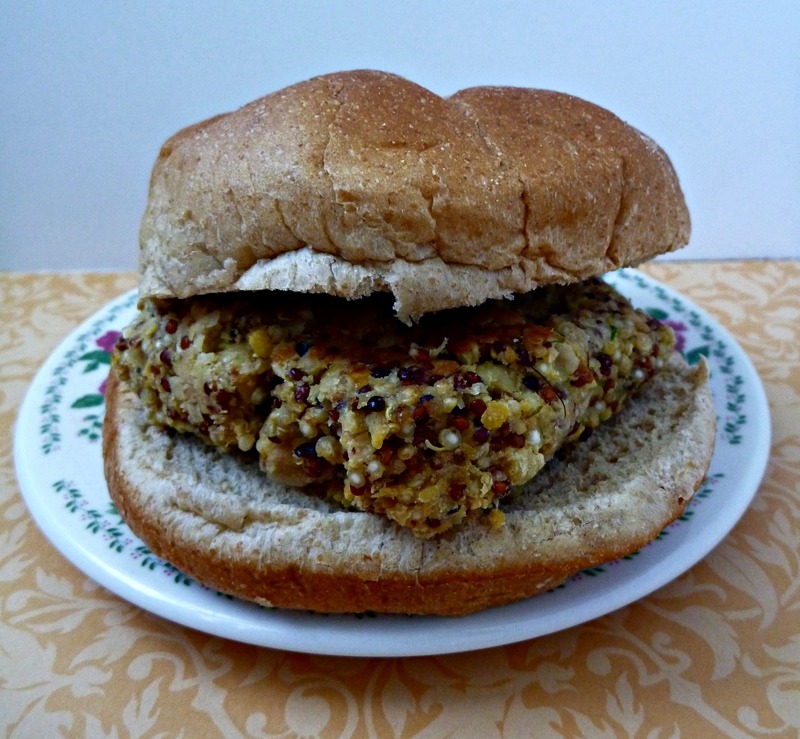 liked these burgers, so you don’t have to be a vegetarian to enjoy them! What is your favorite non-meat meal? !